Enjoy Utah! : Half Off Tubing At Soldier Hollow! Half Off Tubing At Soldier Hollow! Thanks Bargain Divas for letting us know about this AWESOME deal! I think this looks like tons of fun! 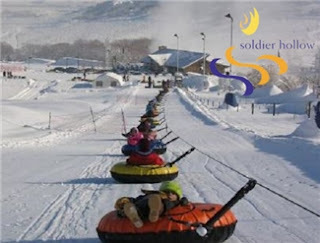 Get a ticket for tubing at Soldier Hollow for only $5 today from Screamin' Daily Deals. A tow rope that takes you back up the hill so you don't have to walk!